I was sitting here embarking on some new, positive changes in my life...and I began to think about some words that were passed along to me from one of my mentors that was passed to him by one of those Ponca guys. My mentor had asked about singing behind northern drums in rotation for things like Grand Entry. This gentleman responded, "When it comes your time to sing, sing like you know how to sing. Do not try to sing like someone else...sing your song (the song) the best way you know how!" What other words of advice have you received from people (i.e. mentors) in your travel? When I was talking with the late Harry Buffalohead in the 1980s when he was Head Singer on the Ponca Drum, I asked him if there was a difference between how the Ponca Drum sings today versus how the Ponca Drum sang years ago in the 1960s when he was singing with older singers like Lamont Brown, Joe Rush, Russell Rush, Sylvester Warrior, Albert Waters, and Louis Yellow Horse. He said that one of the things he always had a difficult time with in teaching young new singers, is that you don't need to "pound" on the drum. He said he was always taught that the drum is a living thing and you should respect it. He said the drum beats should be loud enough to be heard, but should not drown out the song. The dancers and the spectators need to be able to clearly hear the words in the song. In other words, the drum beat is an accompaniment to the song, not the other way around. 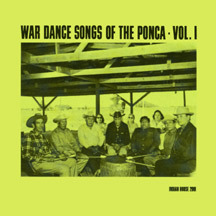 If you listen to "War Dance Songs of the Ponca" Volumes I and II recorded in 1967 you'll get an idea of what Harry was talking about. Last edited by Historian; 05-15-2009 at 09:16 AM.. I remember listening to this years ago when I decided to start singing southern. I can't remember who all was on that recording. Anybody willing to post that for me? Last edited by Historian; 06-11-2009 at 10:40 AM..
Just my 49 cents worth. my uncle Alfred "Sonny" Waters is the one who started me singing. There are many things that I was taught and many things I'm still trying to learn. I am not Ponca, but feel honored that he calls me "nephew" and that his sister's children all call me brother. I was always taught to follow the lead. Never drum harder or louder than he does. I was taught when you sit at the drum you stay there unless you're given permission to leave. Many things he did for me I try to do when I'm teaching someone a liitle about singing. My singing voice is naturally very low so when we would "howl around" he'd always carry it higher and higher to train my voice. I do the same thing with my nephews. Many times he'd start a song and then give me the lead and always have me sing higher and higher each time or sometimes he'd start the tail and have me push it up again. All those things I remember about when we were all young and just trying to learn. I run into many many singers in Northeastern Oklahoma who all tell similar stories about getting their start around his drum. He's forgotten more songs than I'll ever ever know. It's a shame those older folks who lived around that drum every day are becoming fewer and the things they taught aren't being respected anymore. Like dressing and sitting at the drum. I was taught you don't do that. But nowadays I see southern drums do it all the time, even in Oklahoma. "Sing with your heart. When you go, don't just go halfway, sing with everything you've got"
"If you take care of that Grandpa there, he'll care for you. Every song you've ever put on that drum is held in there. When you can't think of a song, ask that Grandpa and he'll give it to you"
Last edited by ponca49king; 11-28-2009 at 11:45 PM.. Reason: ??? My advice would have to be. Listen Learn and sit still. who farted? I was going through the top of the archives and found a few threads worth bringing back view for those, like me, who love to surf and read. There aren't but so many ways you say the same thing...and some of the things said here in this thread area really, really good! While a member of a singing group, its always good to remind ourselves of the history that makes us...or that about us. One of my teacher/friends was Clyde Warrior, Ponca. He said that hitting the drum too hard was like beating up your grandpa (what we'd call nowadays, "elder abuse"). Also, he said that in the Ponca way, the drum was not supposed to speed up during the rendition of a single song, including the tail. Sometimes, the drum would become a little louder just before and during a pushup beginning, but an attempt was made not to increase the tempo. That is and was the ideal pattern. In actuality, if you listen carefully, in the Spirit of the Dance, in the excitement of the dance, a particular song's tempo will increase a SMIDGEN. In my view, this is just part of being human. It doesn't happen on most of the songs, though. In a holistic sense, the drum beat is not more important than the song, nor is the song more important than the beat. The dancers' footfalls are not more important than either the beat or the song, and vice versa. It all goes together in a single package, a cohesive unit. How odd things can be. Just Friday (05/14/10) I was mentioning Lamont Brown and Harry Buffalohead and than I come across this thread. I am a whiteman age 54 but back in the days of my youth I knew these men quite well, for a child. I had these 2 albums, both signed by all of them. I, actually my brother and friends at that time, belonged to a group of dancers. Though it's beginnings had boyscout connections we had moved well beyond that into more traditional understandings and ideals. We danced for fairs and such and it was at one of those that we first met The Ponca Indian Singers. They seemed to take a liking to us (though I was very young I was still there through all of this so I use us.) and spent many hours teaching the correct way to sing and drum. I listened and I learned. They taught us songs and many other things. The group went on and we sang the songs and I learned and sang 'til I was able to lead our drum. It wasn't until about 1970 when I was able to give back all this in a big way. CalExpo was fairly new (California State Fair). There was a Native American Exibit and schedule dance exibitions prior to the nightly rodeos. That year they had a guest drum from Montana that was suppose to sing for the shows. They were involved in a car wreck, on their way down, and were, unfortunatly, unable to make it. Finding another drum, on the spur of the moment was proving impossible, with Powwow season well on it's way. Some friends brought my name up and suggested that I could do it. Though our group had long broken up our drum was still there as well as other members. With some reluctance, I was a white guy after all, A small group sought me out and asked, very formally, if I thought that I could lead a drum for their shows. There was even money offered. I refused the money but agreed to do it. They pointed out that it was just until they could find an Indian drum but after the first night, I sang everynight for the fair that year. All reluctance replaced by appreciation for my abilities, my senserity and gratitude for being there willing to help. And the songs I sang? Mostly the Ponca songs I had learned so long ago. I'd been singing and dancing for years and new many songs. Some given to us by the Medicine Man Tony Toma of the Kiowa. He came and spent time with us and taught us. We we had many Native American friends through those days. It was easy for them to see our sinserity and that we weren't just playing at being Indian. That our hearts were deeply in it, inspite of our whiteness. It was later during the cultural revelotions when younger Native Americans began looking at who they were. Began coming to Powwows and seeing what it was about. Some of them weren't happy about us being there. Insite of the families that would willinglly vouch for us, it became prodent for us to step aside and let this connecting happen. No regrets, it was important for them and all the Nations. 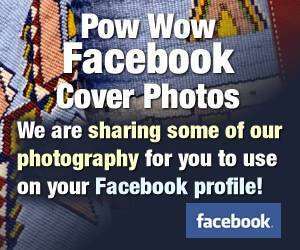 Now Powwows are bigger than ever. Harry and Lamont came up, Friday, as I was talking to Powwow. Com about the idea of there being any place for a whiteman dancer in modern Powwows. Any Opinions? seems like you have an extensive singing legacy. like um, what's his name from porcupine singers? that's pretty cool. Tony Isaacs of Indian House Recordings and I go waaaay back. When he returned to Taos, NM, after recording Ponca War Dance, Vol. I & II. he had this to say, "Those Poncas don't just sing together; they breathe together!" While speaking of Tony, I must mention that he was made an honorary member in 2009, of the American Society for Music. This is in recognition of all the recordings he's made in the past 44 years. I think it's the first time that the Society paid serious attention to Native American music. And regarding a couple of what's-their-names mentioned by Grits & Beans. Ronnie Theiss sang with Porcupine and Tom Teegarden sang with Ben Black Bear, Ken Little and brothers in Denver, and Howard Bad Hand's Heart Beat drum. Last edited by Gledanh Zhinga; 05-20-2010 at 09:22 AM..